Corali studios and rooms is a small family business operating from 1980. 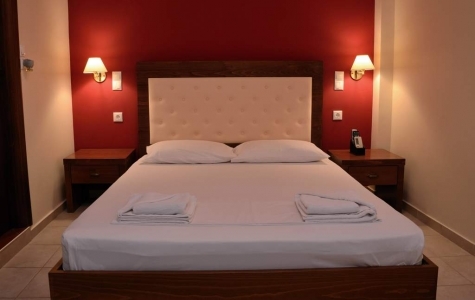 The warm ambience and the hospitality of our small family run business, the modern comforts and clean rooms, offer visitors moments of complete relaxation. Most people return here year after year. 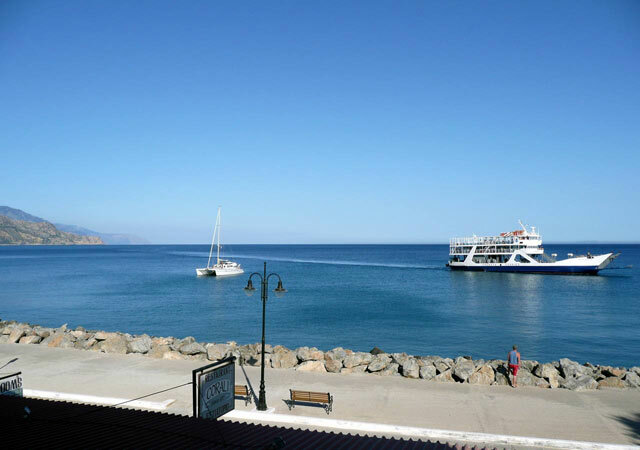 The studios are located right next to the port of Paleochora. It is the ideal place for vacation all year round. The owners, staying true to traditions, are always willing to show you around and offer you a warm hospitality! Roof garden or balcony - Information Desk - Satellite TV - Restaurant - Fax Services - Internet Facilities - Free parking space. Balcony - Bathroom - Shower - Air-conditioning - Kitchen for breakfast - Satellite TV - Refrigerator - Safe box - Pc with 24h internet access. Relax and enjoy your vacation, after all you worth it! Cancellation Policy ·	If cancelled or modified up to 14 days before date of arrival, no fee will be charged. ·	If cancelled or modified later, the first night will be charged. 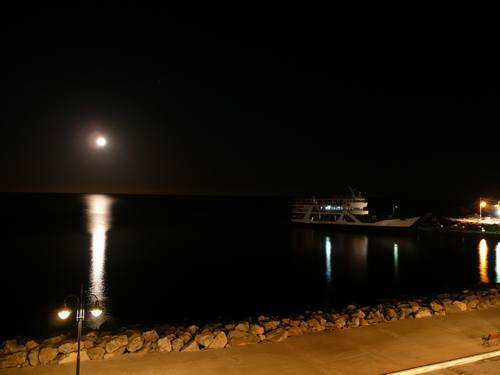 ·	If cancelled or modified up to 7 days before date of arrival, the first two nights will be charged. ·	In case of no-show, the first two nights will be charged. 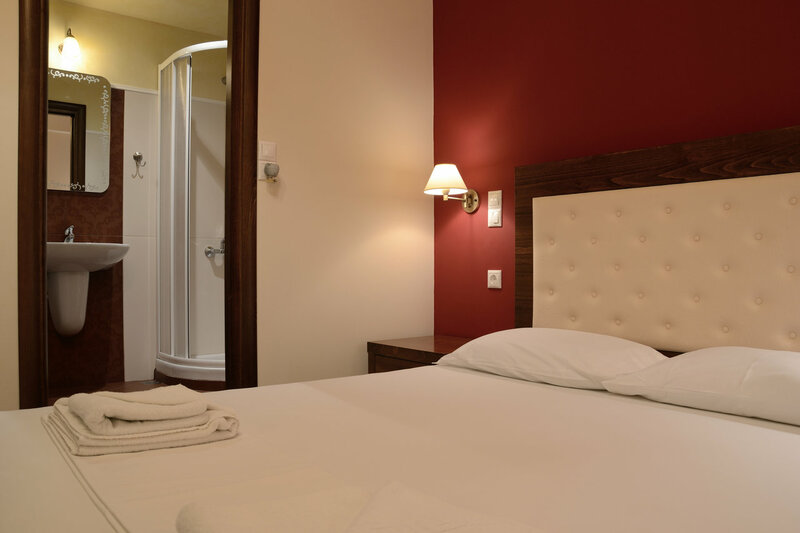 ·	In case of departure before the agreed date, the next two nights will be charged Deposit Policy ·	The first night will be charged at the day of booking. 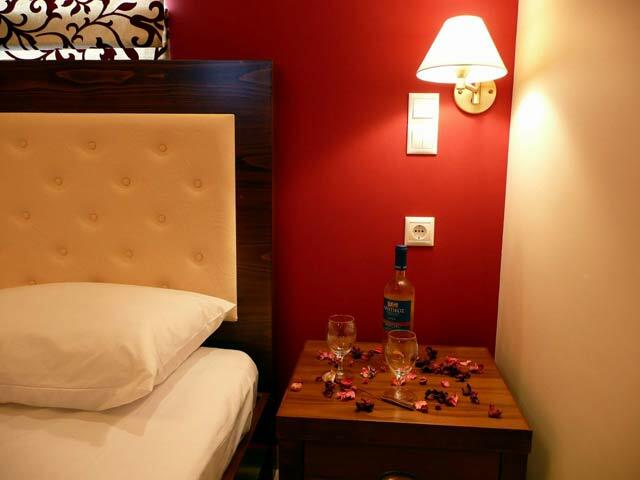 The first night will be charged at the day of booking. 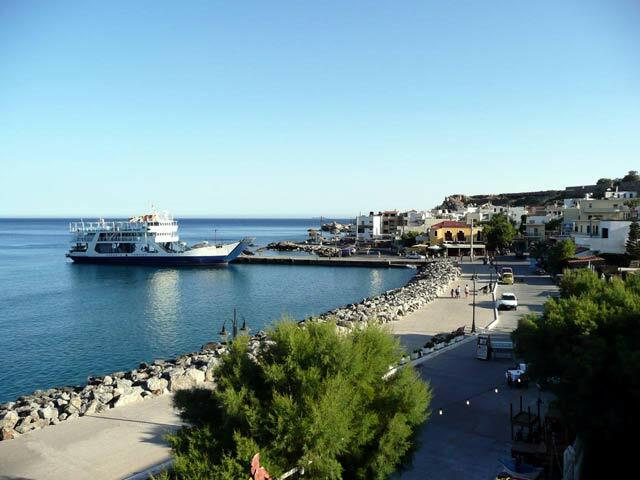 The small town of Paleochora lies at the southwest part of Crete and the southest part of Europe. It is built on a small peninsula between two picturesque gulfs. Paleochora is washed by the Libyan Sea. It is called the Nyph of Lybian Sea and the Land of the Sun. 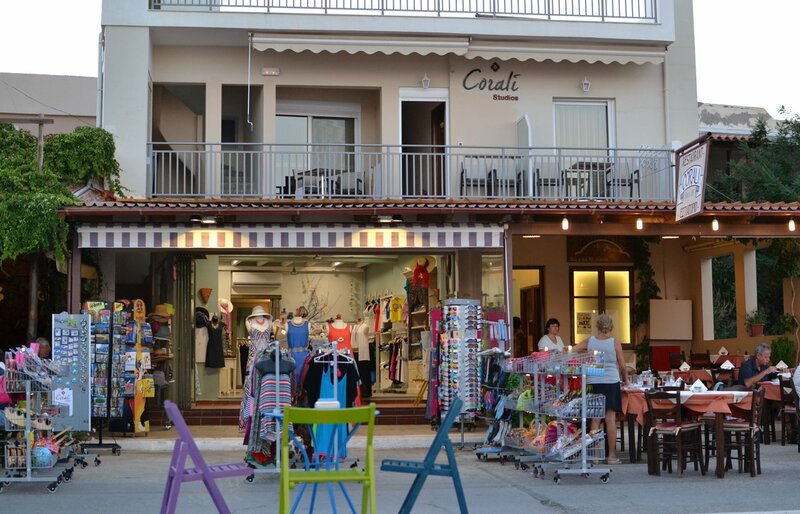 Corali studios are built at the east sea wall, 100 meters from the small port and 200 meters from the bus station. They offer spectacular view of the small port and the Crocodile Cape. Very close to Corali studios are the organized beaches of Halikia (150 meters) and Pachia Ammos (250 meters), awarded with the Blue Flag by the European Union. Cosy room, very clean , nice view and a friendly owner. I would definitely come back. Paul is a very friendly and helpful host. Excellent location. 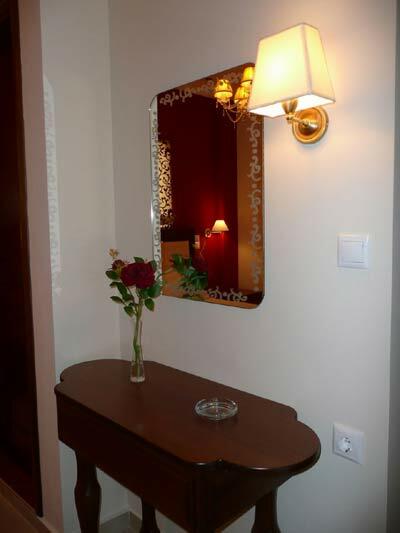 Nice studio, very clean, good service, excellent location. Very nice bathroom with pegs and shelves. The kitchen was a bit small and not to well equipped. Also the balcony was kind of small. All over we will give it a good 4 of 5 in the ratings. the hotel is very simple but pleasant. the room is basic but there is everything you need. 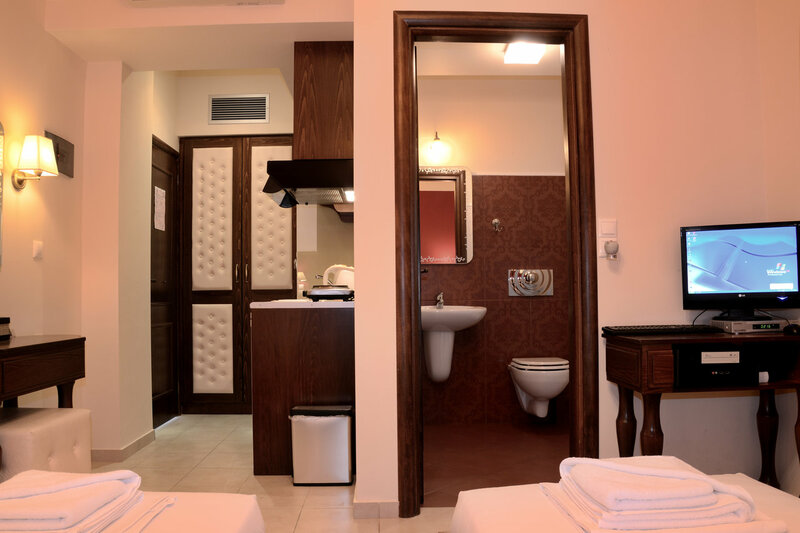 Even the bathroom has a real shower cabin and that is not usual in Greece ! Beautiful view !!! 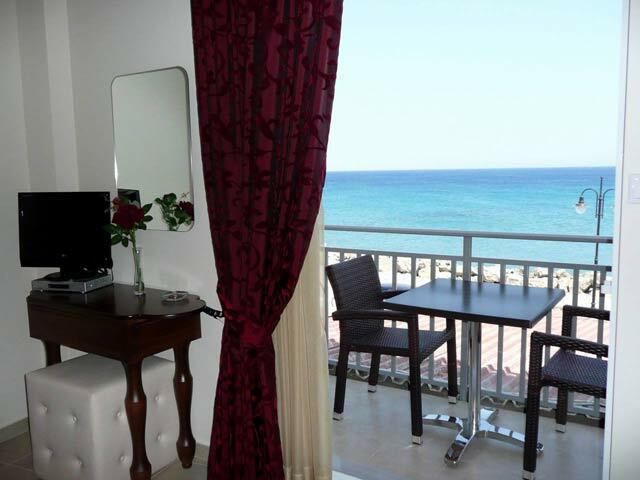 Lovely sea views with clean and comfortable rooms. Ideal if you can get the 3 rooms as a group as you share parts of the terrace. Central location but can be noisy at night. This is our second visit to Paeliachora and have returned again to Corali studious . The location is gorgeous , overlooking the bay . 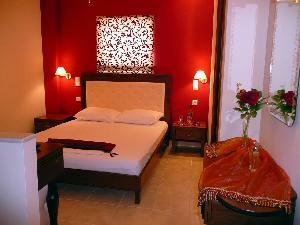 The apartment is extremely clean with regular changes of bed linen and towels . 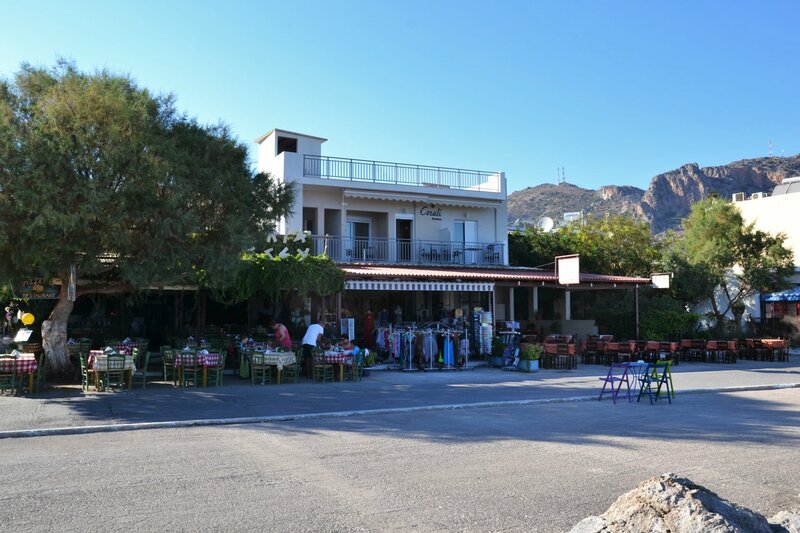 Even though we visited towards the end of the season Pavlos the owner was available for any queries we had . He was also able to advise on local restraints etc ! We will definitely be back to Corali ! 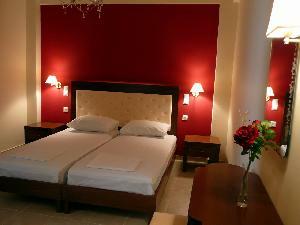 The room is not very big, but is really nice and clean with AC. 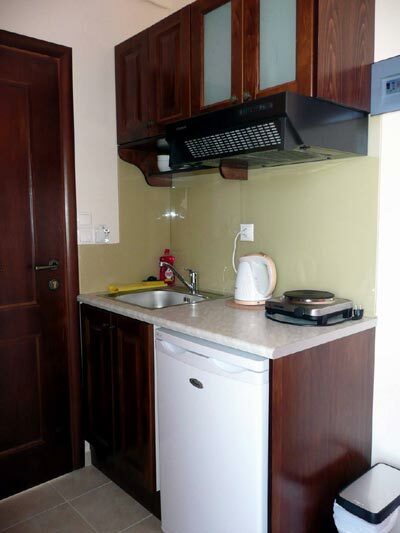 It has a very nice sea view, and is conveniently located in Palaiochora. Service was excellent and the bed was comfortable. I would recommend this room to any couples. 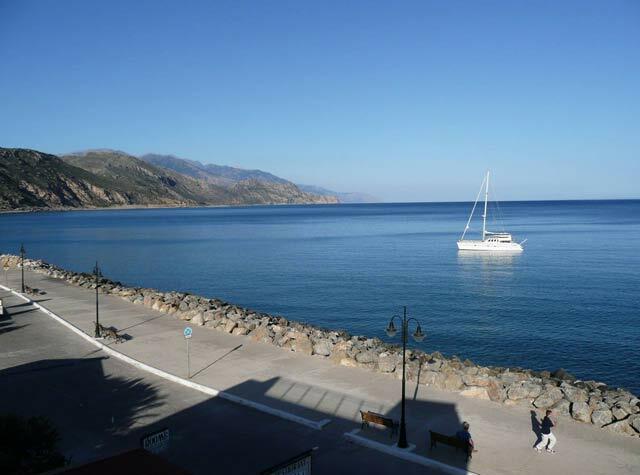 Top Location directly on the Sea,nice balcony,modern top equiped room in the Center of Paleochora. Great location with a beautiful view of the sea. I would definitely come back and recommend! A very good studio ! Good size Studios With Perfect location. Friendly and helpful staff.